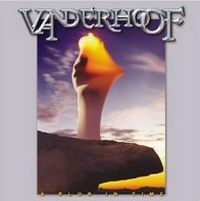 In 1997 guitarist Kurt Vanderhoof decided to release CDs with Vanderhoof beside his main band Metal Church. His aim was to preserve the keyboard orientated rock music. He was animated by musicians as Jon Lord or Rick Wake;man and wanted to combine hard, rocking guitars with the warmth of a organ / keyboard. On the latest - the second - release of Vanderhoof which is called A Blur In Time you can hear 11 songs. The result is a rock album dominated by the guitar of Mr. Vanderhoof, the rough vocals of Drew Hart and the keyboard elements of Brian Cokeley. Finally I can say that this one is more quite then the Metal Church album, but that's what side-projects are for, to break out of the band routine. This is a decent hard rock album which won't change the world, but will be welcome by fans of this genre.